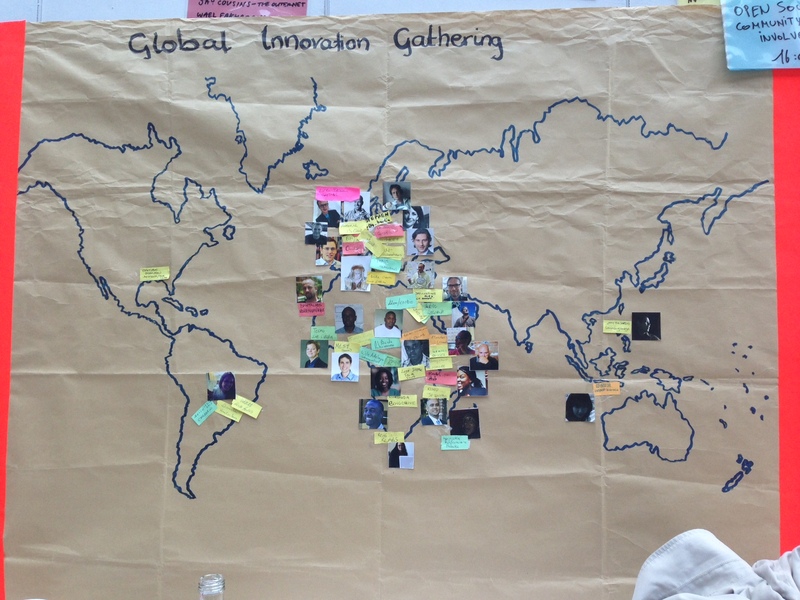 All interested Stakeholders including hub founders, managers and funders met for 2 days before the conference. 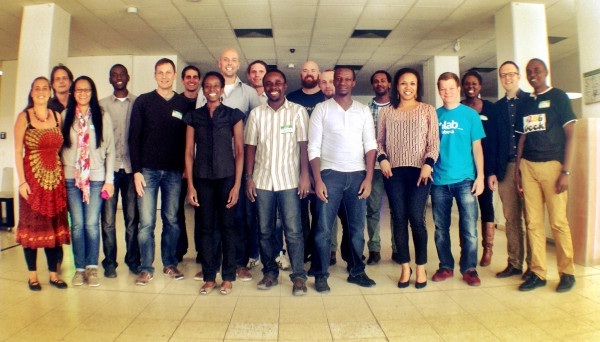 There were hub representatives from right across the continent, including Activ Spaces, iHub, NaiLabs, Hive Colab, Habaka, KINU, ICE Cairo and Addis, Wennovation, Banta Labs, iLab, RLabs, Co-Creation Hub and Bongo Hive. I’m sure these meetings will be written up in further detail elsewhere, but it was inspiring to see such tremendous enthusiasm and fantastic ideas coming out from the group who discussed how to share knowledge and collaborate, shared information about hub sustainability and business models and explored ways in which to build the AfriLabs ecosystem. An excellent new governance structure is also being devised which will involve a rotating board and three steering committees, ensuring that inclusivity and openness is the name of the game. An interactive dinner by GIZ on the Tuesday evening enabled all interested Stakeholders to interact with funders and corporates including ourselves, Hivos and Google. 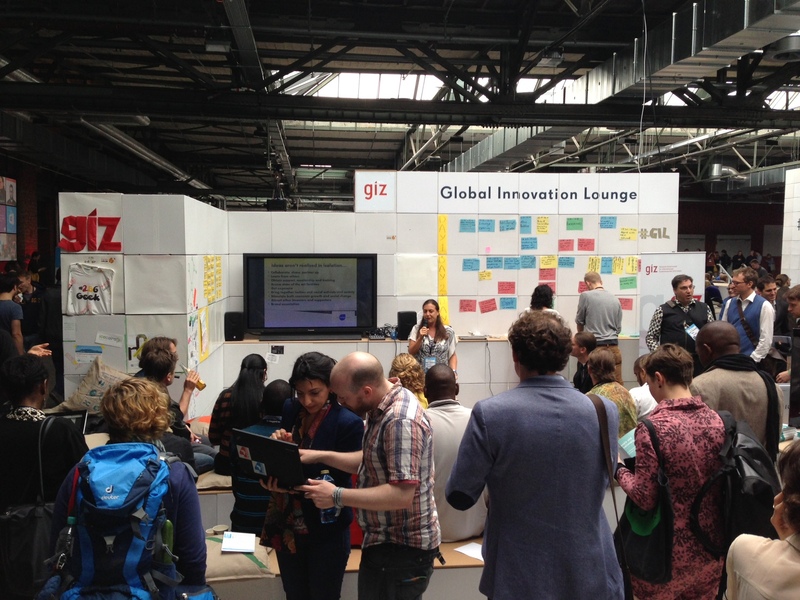 AfriLabs helped to coordinate a community run space called the Global Innovation Lounge at Re:publica, which was without a doubt the busiest open space at the event. In true techie style the space was filled with painted pillows and co-created art work and the atmosphere was buzzing throughout the event as the space became a meeting point for international innovators and tech hubs. As was to be expected, some of the most exciting conversations came out of the informal discussions coming out of the space, but there were some fantastic presentations too. 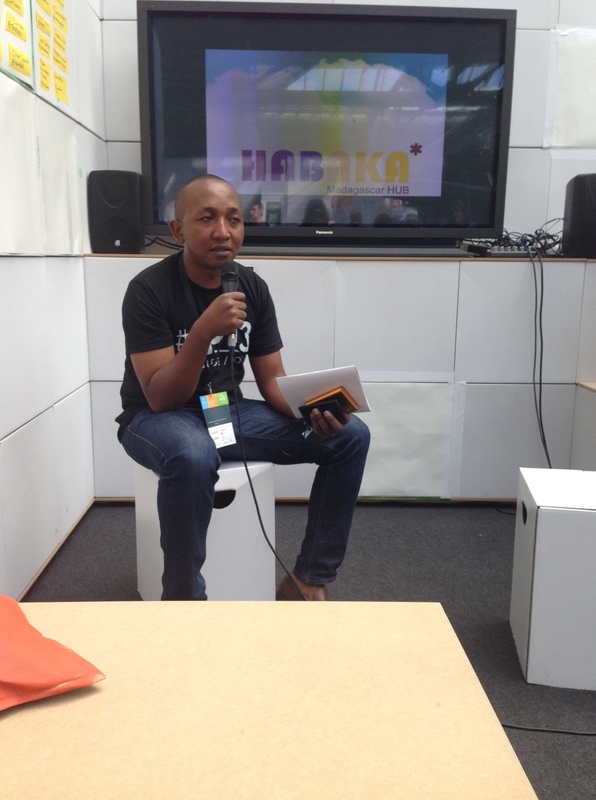 Lukonga Lindunda from Bongo Hive described the organic way in which their hub started, initially purely with volunteers and how they were involved in election monitoring and built a Zambian Constitution App as well as conducting the first mobile development training in the country. Since then they’ve hosted a whole range of events including Apps4Africa, Random Hacks of Kindness and a Google App Developer Challenge. They’ve also established the Asikana network for women in text and have developed Bantu Babel for local language translation. They’ve even been contacted by the Office for Vice President contacted to develop an Ushahidi platform for reporting crop damage caused by army worms. 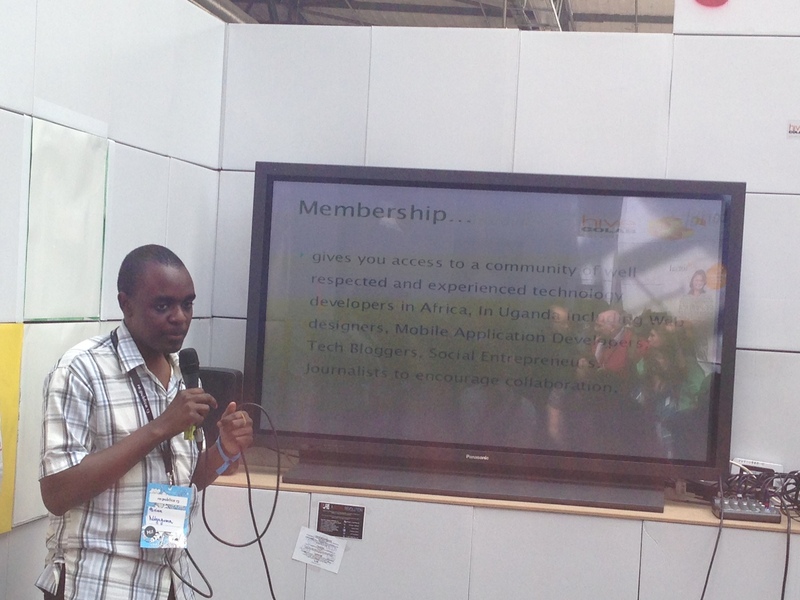 Brian Ndyaguma, Hive Colab‘s new community manager described how they’ve shifted to a larger new space and are now acting as a co-working space and incubator combined. They host events, identify mentors, link to Universities and have established WITU which encourages more girls to enter the tech industry right, stimulating an interest right from secondary school. They are moving into open government and accountability space by providing training on the Freedom of information act, mobile technology and Social Media for Transparency and Accountability training taking place. 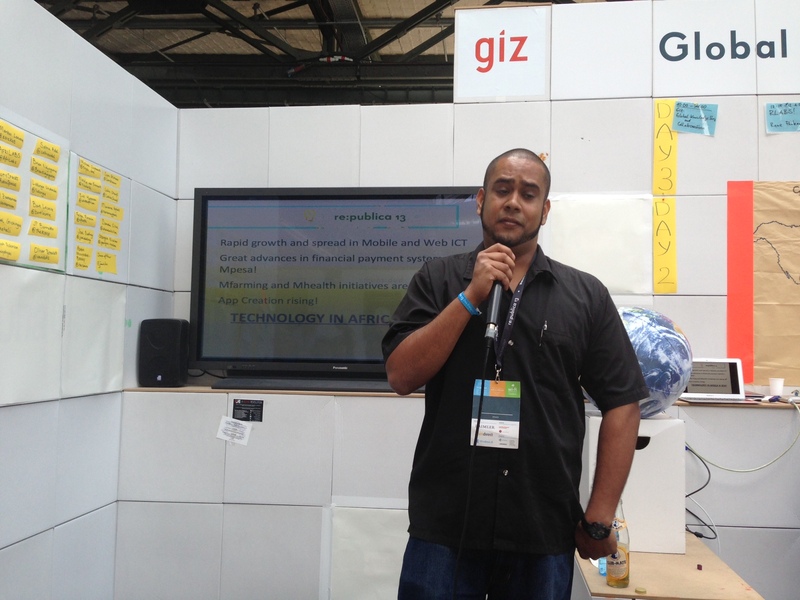 Rene Parker from RLabs (South Africa and beyond) showcased how giving people hope is key. Working with community members including ex gang members and drug addicts, they’ve enabled them to tell their stories digitally, become citizen journalists and create their own social tech businesses, some of which are already generating income. Examples include their Jamiix counselling platform, She’s the Geek award winning blogand Uuzi, ‘a Linked In for poor people’. Johnpaul Barretto from KINU gave an inspiring talk, highlighting the need to take responsibility for the community and build solutions for real challenges, focusing predominantly on basic phones. He spoke about their work engaging women and young children who are learning to code through code ninja and building robots from scratch. They’re supporting a wide range of projects including an educational info app for university students in English and kiSwahili, a Bulk SMS platform, mapping sewerage, a tourism map, an anti corruption platform (reporting) and an education platform tailored to an individual’s hobbies. 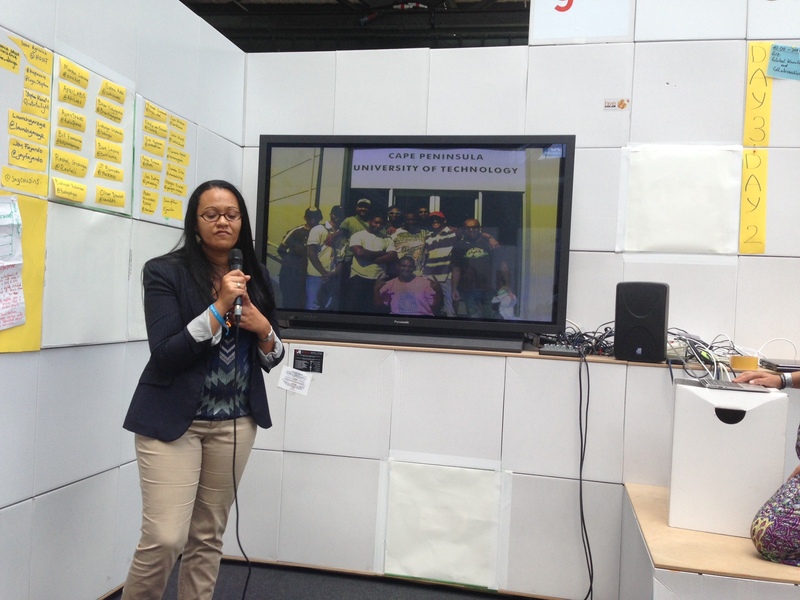 Andriankoto Ratozamanana explained how Habaka Madagascar is building a tech community in the most challenging of environments, with the aim of tackling unemployment through creating sustainable large businesses and ICE Cairo team gave a fantastic overview of their space in a country where revolution has sparked innovation. They focus on green technology and have a fabrication lab and 3D printers on site. Their model is working so well that they’ve created similar spaces in Alex, Palestine, South Sudan, Aswan, Addis and Banhaus. Last, but hopefully not least, I delivered a presentation focusing on why foundations support hubs, how we assess impact, business models emerging from them and some of the inspiring social projects coming out of them. You can see by slides below. It was so very inspiring to see all the hubs together in one place, sharing best practice, exchanging ideas and identifying areas for collaboration. I sincerely hope that this is the start of something bigger.